Love Curry and have some meat leftovers? Then check out this fab curry recipe by beauty blogger Jen here. Jen uses leftover lamb but you could use beef, pork, turkey or chicken. The Most Delicious Pie Ever! I don’t just make this pie with the Christmas Turkey leftovers. It is so delicious I make it throughout the year with leftover chicken, usually after I have picked up a pack of chilled pasty in the reduction cabinet that I freeze for future use and leeks that are either reduced or from Aldi or a value line at the supermarket. One of my favourite things to do with leftover sausages is to make a sandwich for pack up but sometimes if the freezer is getting low I turn them into a meal to save money. Leftover sausages (cold cut into discs) I use 4 for 4 people so adjust according to how many you have leftover. Put on a large saucepan of water for the pasta. I use approx 500g for four servings. Heat the oil in a pan and add the onion, peppers and garlic and cook until soft. Whilst the pasta is cooking, add the tomatoes and sausage discs. Bring the sausage mixture to the boil and simmer gently until your pasta is cooked. 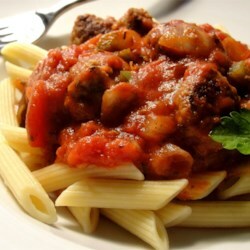 Serve up your pasta and spoon over the sausage mixture as required. Add grated cheese if you wish. 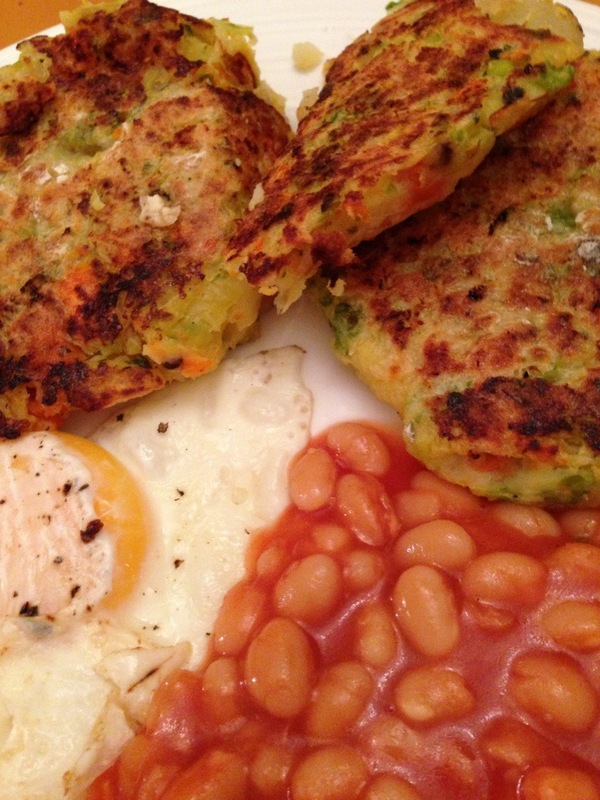 Bubble and Squeak – An old fashioned favourite for using up leftover veggies, especially from a roast dinner day. Mash up your veg, bind with an egg, flour your hands and shape into patties before gently frying in olive oil until they start to colour. I serve mine with an egg and beans. Also makes a great weekend brunch. Not only can you use your black bananas to make a delicious cake, did you know you can also slice them up into discs and freeze for later use in smoothies or perhaps a Banoffee Pie? This is a work in progress so do contact me with your own suggestions. Thank you.